Purchasing the right type of laboratory scales comes down to a simple matter of knowing what you need for your office or lab. You want to go through all of the different styles of scale before making a final decision. Here at Arlyn Scales, we have all that you need. Our cutting edge technology known as SAW, or Surface Acoustic Wave, gives the most accurate measurements in the industry. Arlyn Scales has your desired scales broken down into categories for easier searching. You won’t have to wonder if a scale is designed for a specific purpose. Each purpose is listed on the site. Moreover, you can use the site’s search function to find a specific scale that you have been seeking. This makes our site the user-friendliest and very easy to shop. When you visit Arlyn Scales, you can use our convenient categories on the left-hand side of the homepage to go to the pages that have the specific scales you need. Everything at Arlyn Scales is designed and manufactured with our name on it because we stand for quality, craftsmanship, and customer service. 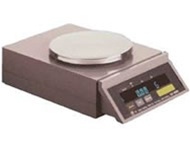 Arlyn Scales offers a wide range of analytical balances and precision scales for laboratory work that requires the absolute best in accuracy. There are also scales that are top-loading or open balance. Each one can be found through the simple categorization on the site. Because some scales are suitable for more than one application, you will find them in more than one category. Arlyn Scales offers the simplest to the most technologically advanced scales. The selection at Arlyn Scales is designed to meet the needs of any lab or business. When precision and quality are a necessity, Arlyn Scales meets that need every time. They range from the standard products to customized designs that Arlyn can create for your laboratory work. The scales that can be used in laboratories are found throughout the site. Everything from a counting scale to an ultra-precision balance featuring Arlyn’s SAW technology is available for use in lab situations. High-resolution scales are also available. Moreover, the scales are designed with super-sensitivity in mind. Many of the scales that are made from stainless steel are corrosion resistant. There are even scales that are designed to function in an environment where explosives and other unstable compounds are in use. Many times, laboratory situations require the use of volatile chemicals and products such as those in the ArlynGuard line of intrinsically safe scales are ideal. Contact Arlyn Scales at www.arlynscales.com today for a quote on any weighing equipment that you might need for your business. You will find a large selection of scales for any purpose, and you will find it easy to purchase scales that will help to operate your business. Our professional and courteous staff is here to help meet your every need.